In the age of smartphone frenzy, feature phones have been pushed to the backseat. But for people who prefer a feature phone that serves their basic needs like call and chat features, good battery backup and basic internet browsing, feature phones still are an attractive option. 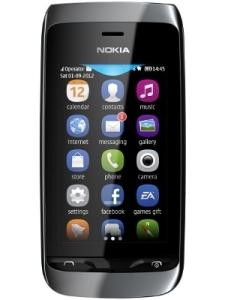 Nokia Asha 309 mobile phones continue to extend its influence on the feature phone market with its sturdy features. The screen display dimensions are 3 inch with WQVGA (400*240) screen resolution with a colourdepth of 16 and 155PPI giving it a good display. The hardware specifications are as follows: it has a single port option of Micro USB for software updates or data transfer, Blue tooth and Wi-Fi. The phone is compatible with 2G network only with EDGE connectivity. The battery capacity is 1110mAh and has a removable battery. It offers a strong talk time of 17 hours and a standby time of 42 days making it the most efficient and economical phone. For music lovers this phone is a boon with its playback time of 54 hours and maximum video playback time of close to 10 hours. The phone has a RAM of 64MB and provides a memory card with a MicroSD slot for expandable memory of 32 GB. The software operating system is NOKIA OS and supports various graphic formats. It has all the call management features of call waiting, forwarding, call logs and conference calls. The phone supports Internet browsing and can be used to check Facebook, Twitter and You Tube. The phone has a main camera with 2MP and also a FM radio. The phone is environment-friendly with its materials and packaging 100% recyclable. 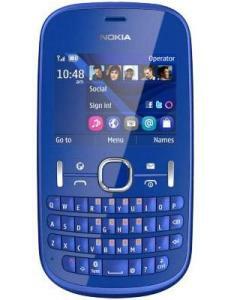 Nokia Asha 201 Mobile phone is another feature rich phone from the house of Nokia and is priced at Rs3876. The display screen is 2 inches with a QVGA (320*240) screen resolution with a color depth of 18 and PPI of 167. The display adopts LCD transmission. The key input methods are QWERTY and the phone design is classic. The phone has a single sim slot with an option for USB port, bluetooth and Wi-FI. The phone supports 2G networks and supports GPRS/EDGE only. The RAM is only 32MB but supports expandable memory of 32 GB. The phone boasts of digital clock, Alarm clock, calculator, ringtones etc. JAVA games are provided and the phone supports graphic format of JPEG, BMP etc. The phone has a camera enabling one to take pictures from a minimum focus range of 100cm and is 2MP.So basic quality pictures are assured with this phone. The phone has multimedia features and can play music for 52 hours. 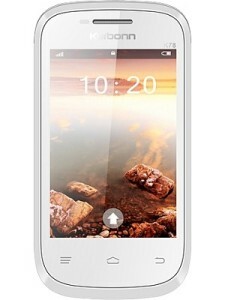 The Karbonn K78 feature phone has the looks of a smartphone and provides some neat specifications. It is a touchphone with a display screen of 3.5 inch and has a screen resolution of 240*320 pixels. The internal memory of the phone is 128 but has an option of a micro slot so that the memory can be expandable up to 8GB. The phone can store contacts up to 500 and store 100 SMS. The Phone supports internet browsing but it does not have email support. The phone provides a USB port for software updates and data transfer. The phone provides camera with 1.3MP and can even record videos. The phone has FM and supports MP3, AMR and WAV formats. The phone has dual sim options but does not offer 3G connectivity. The battery offered is a LI-ion 1050mAh which gives the user up to 4 hours of talk time and 200 hours of standby time. Special features like CLID with photo, Screen saver, voice recording, Anti theftfeature and calculator. Karbonn K78 phone is for users who want a dependable phone with the least fuss and at a price of Rs 2190 one does not have much to complain. It is an easy to use phone and easy on the pocket too. 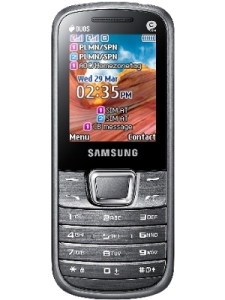 Samsung E2252 mobile phone is marketed as “Styled for simplicity” and features a 2inch LCD display screen with a resolution of 128*160 and a color depth of 262K and provides a neat keypad for easy functionality. The phone is compatible with 2G/3G network and has a dual simcapability. The hardware is supported by Single core application processor with a CPU speed of 208 MHz. The phone has an internal memory of 20MB but with an expandable memory up to 32GB.The phone provides dual sim support. The battery capacity is a 1000mAh and provides a talk time of almost 11.8 hours and also a standby time of 11 hours making it a powerful talk phone. The phone supports multimedia features and provides a superb platform for social networking. The phone has inbuilt games which the user can enjoy. The phone can save up to 8000 songs as it can support the 32GB expandable memory. The phone is currently priced at RS2599 or and is truly a classic feature phone. The Intex Plasma Mobile phone is a good value for money at Rs 1847. The phone has a 2.8 inchtouch screen and provides dual sim facility with a screen display resolution of 240*320 with a PPI of 262K. The Battery capacity is 1200 mAh that offers 10 hours of talk time and 10 hours of standby time. The phone has multimedia support and has FM and video features. The camera is 1.3MP camera with flash mode and bluetooth to transfer favourite pictures and videos. There is no Wi-Fi however but supports GPRS/Edge. There is no USB port offered. The internal memory storage is 20KBbut the memory is expandable up to 32GB making the phone a good storage phone. These top 5 basic feature phones offer durability and reliability when one uses it for the purpose of call management and social management. Most of the consumers who opt for a feature phone buy it as a standby phone as it offers superb talk time and lasting battery backup. Heya i am for the primary time here. I found this board and I in finding It really useful & it helped me out a lot.